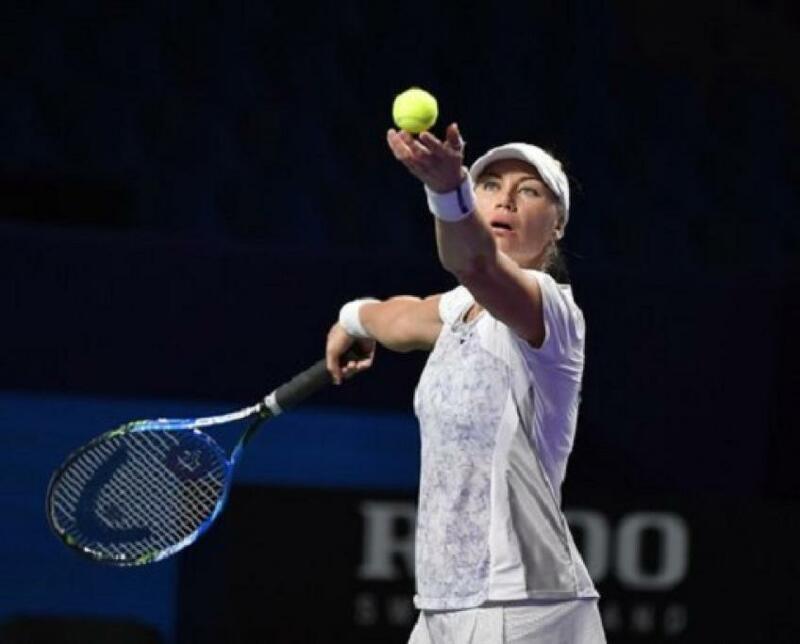 Former world number 2 Vera Zvonareva beat her compatriot Ekaterina Makarova 6-3 6-4 after 1 hour and 15 minutes in an all-Russian match in the opening round of the St. Petersburg Ladies Trophy. Vera Zvonareva came back with a semifinal in Shenzhen in the first week of the 2019 season after being sidelined by injuries for nearly two years. Makarova brought up two break points at 2-1, but she failed to convert them. She converted her next break point chance to take a 3-2 lead. Zvonareva pulled the break back in the sixth game to draw level to 3-3 and earned another break to open up a 5-3. Makarova won the first game of the second set stopping a streak of four consecutive losing games, but Zvonareva earned the break at 3-2. Zvonareva went down 15-40 on serve in the final game, as she was serving out for the match. The former world number 2 fended off both break points to secure her berth in the second round, where she will face either Julia Goerges or Maria Sakkari. Maria Sharapova cruised past Daria Gavrilova 6-0 6-4 after 1 hour and 47 minutes to score her third consecutive win after losing their first head-to-head match in Miami 2015. Sharapova fended off eight of the nine break points she faced. Gavrilova dropped her serve five times. Sharapova broke three times and sealed the opening set with a bagel with a backhand crosscourt winner after five deuce games. Gavrilova fought back by breaking serve in the sixth game of the second set to open up a 4-2 lead. Sharapova broke straight back with a forehand winner and sealed the win with another break in the ninth game after a forehand error from Gavrilova. Latvia’s Jelena Ostapenko, who won the 2017 doubles title in St. Petersburg, will face 2017 singles champion Kristina Mladenovic in the most interesting first round match of the St- Petersburg Ladies Trophy. Mladenovic won her only WTA title in St. Petersburg in 2017 beating Yulia Putintseva in the final and reached the 2018 final finishing runner-up to Petra Kvitova. Kvitova has been handed a bye to the second round, after losing the Australian Open final against Naomi Osaka last Saturday.